The 2500 tonnes of coal produced each month by Mchenga Coal Mines in Rumphi, northern Malawi, is falling short of the market demand. 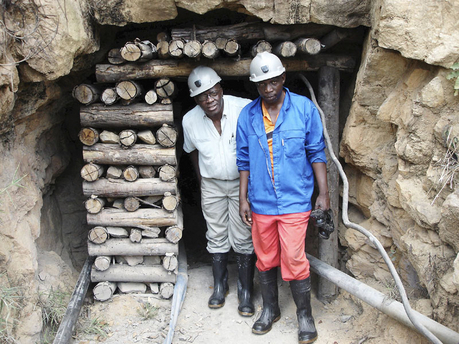 The mine could produce 7,500 tonnes per month at full capacity. As a result, Managing Director Rafik Gaffar told Mining Weekly that the company is searching for investment to increase production. We expect a dramatic increase in the demand for coal, with the possibility of a cement company opening in 2014 in the Kasungu area, in Malawi’s central region. In September earlier this year, Malawi’s Minister of Mining John Bande toured the mine and noted that Mchenga Coal Mines had not been remitting in full the stipulated five percent of gross earnings to the government each year during the last five years. Companies were able to withhold royalties because there were no proper inspections and there was little funding for such exercises, but that will no longer be the case because we have allocated more money. We have drilled our officers to do more inspections and there is also an increment for inspection funding. Bande also mentioned that the Ministry may consider raising the royalty rate in Malawi. Mchenga Coal Mines operates the second-largest coal mine in Malawi. The mine began operations in 1987 and it primarily supplies the local market. It is located in the Livingstonia coalfield, which has probable reserves of 25 million tonnes and proven reserves of 1.5 million tonnes of coal (ash content of 17%, sulphur content of 0.5%, and calorific value of 6.8 kcal/kg). The was started by a company owned by the Government of Malawi, Mining Investment and Development Corporation. In 1999, 11 years later, it was privatised under the company Coal Products Ltd. At present, the mine is jointly owned by a British-Jamaican investor, Lincoln Bailey, and a Malawian investor, Rafik Gaffar. They have invested USD 7 million into the company. Could Britannia Mining fill in the void?